America Green offers a wide array of tailored and pre-packaged recovery, recycling, waste disposal, and waste management services for the medical and industrial fields. Regardless of your business size or location, America Green has the capability to provide eco-friendly solutions for businesses with environmental recycling needs. 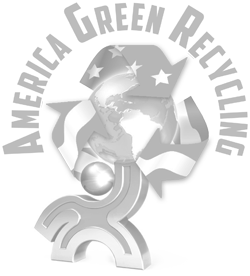 For over 30 years America Green has helped our customers create recycling and waste programs that have drastically reduced costs and significantly increased revenue. Our advanced technological capabilities and extensive sourcing network allow us to provide its clients with turnkey service; transportation, material management and collection. "Ron Schade has been servicing our account for over 30 years. The customer service has been exceptional and he has gone out of his way to accommodate our needs. It has been a pleasure doing business with him." As Doctors purge X-rays refining ramps up. AG Recycling is committed to environmental sustainability. We recognize the importance of protecting our planet's natural resources. © 2019 America Green Recycling.